Caren studied fashion design at University of Salford. She then worked in the fashion industry as a designer of Ladies� and Children's wear for well-known high street stores. 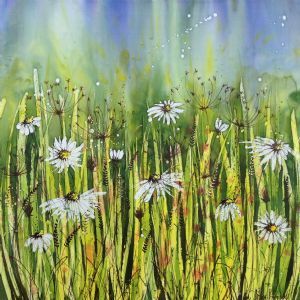 A career break to have a family enabled Caren to rediscover her love of art and she began to experiment with different forms of Textile Art. 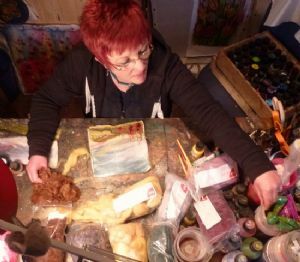 Today Caren's uses wool & silk fibres in a 'painterly' way in order to create textural moody felt pieces that depict, landscapes, seascapes & floral designs. 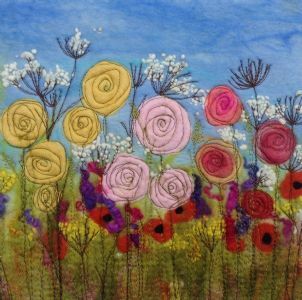 As well as felt, Caren works in other textile media including: Batiks, Silk Paintings, Hand Made Silk Paper pieces & Devore. In addition to creating & selling her own work, Caren teaches adult classes & workshops for, Adult Education Services as well as privately. She also teaches Art in primary schools throughout Cumbria and Lancashire.